The gold market continues to hold onto support above $1,200 a troy ounce; however, one international financial institution thinks it is only a matter of time before prices fall another $100. 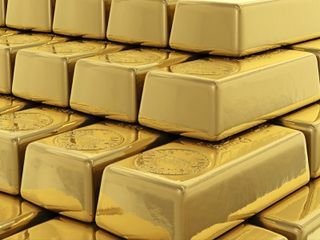 In a report published Tuesday, the World Bank said that it sees the entire precious-metals complex falling 7% this year, with gold leading the way with a decline of 8%. Gold prices are seen averaging $1,150 an ounce in 2017. The global bank sees silver prices falling 4% to average the year around $16.50 an ounce. “Downside risks to the forecast are stronger economic growth and faster-than-expected increases in U.S. interest rates. Upside risks include geopolitical tensions, stronger demand in China and India, delayed rates hikes, and mine supply shortfall,” the World Bank said in its report. The World Bank said that it sees the potential for a “marginal” price in increase for platinum, with prices to average $1,000 an ounce in 2017. February gold futures last traded at $1,200. an ounce, down 0.71% on the day. March silver futures last traded at $16.98 an ounce, down more than 1% on the day. While the World Bank is negative on precious metals in an environment of increasing global economic growth, the institution is bullish on base metals and oil prices. The World Bank sees base metals prices increasing 11% in 2017 because of growing demand and tighter supplies. While copper is expected to see “double-digit” gains, lead and zinc have the most potential this year, with prices expected to rise 18% and 27% respectively, the report said. The biggest winner in the commodity space this year is expected to be crude oil, with prices expected to average $55 a barrel, an increase of 29% from 2016 prices. ‘“The market is expected to tighten in 2017, particularly in the second half of the year, which would help reduce the large stock overhang,” the World Bank said.